Season: Spring Summer Winter Autumn,Spring. 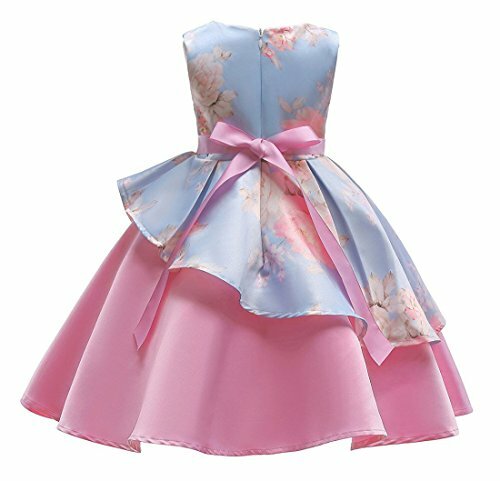 Feature: Bowknot on the waist, your princess looks more slender. Wash Advice: Dry Clean and Gentle Hand Wash are both acceptable. 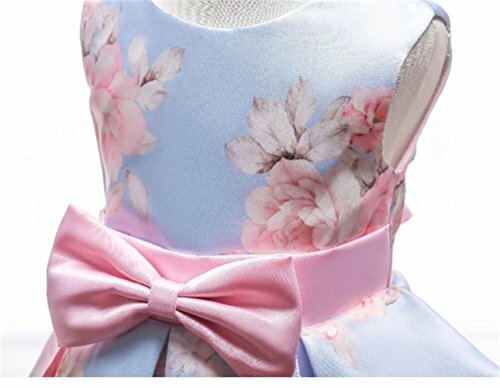 Design: Sleeveless,Back Zipper,Beautiful 3D printed petals,Cute and Beautiful Bows. 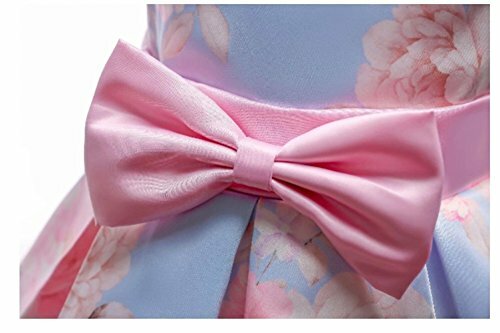 Occasions: Perfect for daily wear, party, wedding, pageant, birthday or other special occasions. 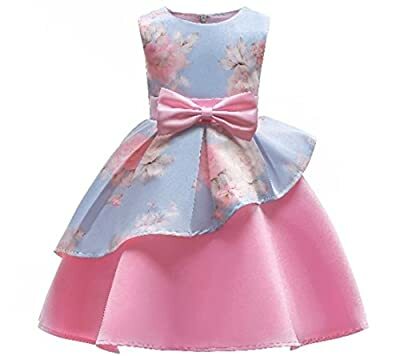 *100 Suggest 2-3 Years(height 100cm): Chest: 56cm/22.0" Waist: 58cm/22.8" Dress Length: 55cm/21.6"
* 110 suggest 3-4 Years(height 110cm): Chest: 59cm/23.2" Waist: 61cm/24.0" Dress Length: 59cm/23.2"
* 120 suggest 4-5 Years(height 115cm): Chest: 62cm/24.4" Waist: 64cm/25.2" Dress Length: 63cm/24.8"
* 130 suggest 5-6 Years(height 125cm): Chest: 65cm/25.5" Waist: 67cm/26.3" Dress Length: 67cm/26.3"
* 140 suggest 7-8 Years(height 130cm): Chest: 68cm/26.7" Waist: 70cm/27.5" Dress Length: 71cm/27.9"
* 150 suggest 8-9 Years(height 140cm): Chest: 71cm/27.9" Waist: 73cm/28.7" Dress Length: 75cm/29.5"
Notice:Please choose a bigger size if your child is stronger or taller than the same age. - Measurement size generated by the normal error range is 1-2 cm.